George Hotel in Malton has accommodation. The pub has a beer garden, it has an outside area. George Hotel shows live comedy. The pub has a dart board, it has DJ's. George Hotel has karaoke. The pub has live music events, it has a pool table. George Hotel shows football on TV. The pub has terrestrial TV. Brass Castle Brewery Tap Room in Malton serves real ale. 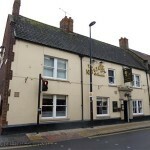 New Globe in Malton has accommodation. The pub has a car park, it serves food. New Globe has a function room that can be booked. The pub has an outside area, it serves real ale. New Globe has a smoking area. The pub has a dart board, it has karaoke. New Globe has a pool table. The pub holds quiz nights, it has a big screen. New Globe is for sale. Under new ownership since June 2017. 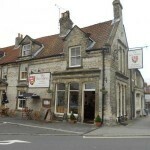 Malton's only family run hotel with bar, restaurant and function facilities. 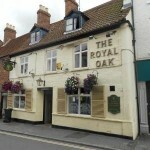 Royal Oak in Malton has an outside area. The pub shows football on TV, it has terrestrial TV. Chapter Two in Malton has a beer garden. The pub gives a warm welcome to dogs and their owners, it has a function room that can be booked. Chapter Two has an outside area. The pub serves real ale, it has a real fire. Chapter Two has a dart board. The pub has DJ's, it has karaoke. Chapter Two has live music events. The pub has a pool table, it has a big screen. Chapter Two shows football on TV. The pub has Sky Sports, it has terrestrial TV. 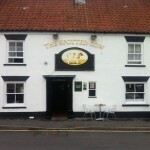 Malton Railwaymens Sports & Social in Norton has a function room that can be booked. The pub has a dart board, it has DJ's. Malton Railwaymens Sports & Social has karaoke. The pub has live music events, it holds Poker Nights. Malton Railwaymens Sports & Social has a pool table. The pub holds quiz nights, it shows football on TV. Malton Railwaymens Sports & Social has terrestrial TV. Wills Bar in Malton has a beer garden. The pub serves food, it has a function room that can be booked. Wills Bar has an outside area. The pub has a smoking area, it has free WiFi. Wills Bar holds quiz nights. The pub has a big screen. 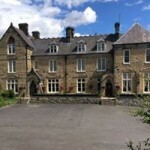 Suddabys Crown Hotel in Malton has accommodation. The pub has a function room that can be booked, it has a dart board. Suddabys Crown Hotel has DJ's. The pub has karaoke, it has live music events. Suddabys Crown Hotel holds quiz nights. The pub shows football on TV, it has terrestrial TV. Spotted Cow in Malton has a beer garden. The pub serves real ale, it is a member of Cask Marque.